Student almost dies after leaving a tampon in for nine days. Emily Pankhurst almost died after forgetting about a tampon for nine days. 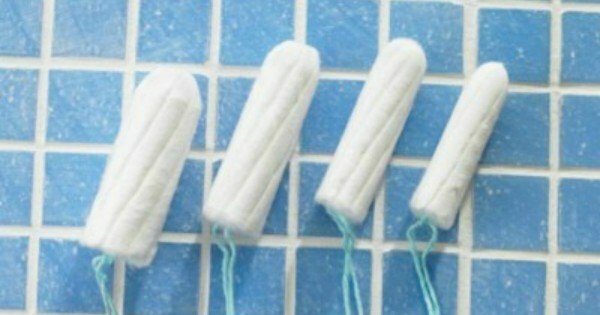 It’s common knowledge that tampons should be changed roughly every four hours, if not more frequently. That said, there probably isn’t a menstruating woman alive who hasn’t experienced that moment of cold-sweat horror upon realising her current tampon‘s been in for… well, longer than that. Maybe even overnight. It’s not great, but there are understandable reasons why this happens sometimes — it might be a lack of access to a toilet, or just being crazy busy and distracted (or just plain forgetful). However, a story out of the UK this week is a reminder that it’s important to ensure your tampon doesn’t overstay its welcome, because there can be serious health consequences. University student Emily Pankhurst almost lost her life after inadvertently leaving a tampon inside her for at least nine days. She’d been feeling fatigued with a high temperature and headaches, along with unusual discharge between periods, but put these symptoms down to the stress of her final year studies. Eventually, Emily’s mum suggested she check to see if she’d possibly left a tampon in, which turned out to be the case. Emily was horrified to discover the tampon had turned black and foul-smelling, and had “gotten so far up” she couldn’t feel it. “It was obviously coated in bacteria. I wouldn’t have known what it was apart from the string. It was horrible. I immediately chucked it in the loo, I felt sick,” the 20-year-old recalls in an interview with Metro. Within half an hour, Emily was displaying some worrying symptoms — she was “cold and confused”, faint, had a pounding headache and mottled skin, and her speech was slurred. At one point she couldn’t open her eyes. As she was rushed to the hospital in an ambulance, Emily’s blood pressure dropped and she began displaying signs of sepsis. “I was sent straight to X-ray to determine whether the infection had spread to my vital organs. Luckily it hadn’t,” she tells Kent Online. Emily spent three days in intensive care, being administered with 12 different antibiotics along with morphine to cope with her pain. Doctors told her she would have died if she hadn’t come to hospital when she did. Emily’s now recovering from her infection, but it left her legs weak so she’s currently using crutches to regain her strength. “It is extremely emotional, tiring and frustrating because your mind wants to get up and do something but your body tells you to sleep,” she tells Kent Online. 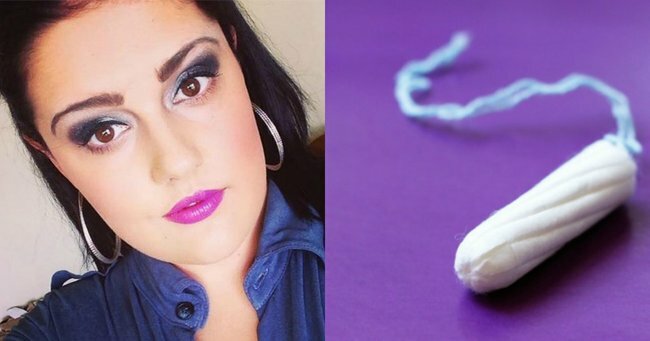 Emily isn’t the first woman to share her ordeal of toxic shock syndrome caused by a tampon. In 2014, UK mum Joanna Cartwright spent eight days in a coma after contracting the infection, while the story of model Lauren Wasser, who lost her leg, made international headlines last year. These cases are scary, but it’s important to remember that TSS is rare, with an occurrance rate of less than one per 100,000. Furthermore, tampons aren’t the only way it can be contracted — as Dr Daria Fielder of Sapphire Family Medical Practice tells The Glow, just one per cent of tampon users would be at risk. Men and children can also contract the infection in other ways. It’s also worth knowing that a tampon in and of itself is not enough to cause TSS; the staph bacteria that causes the infection has to already be present in the body. That said, it can breed in the presence of an absorbent, blood-soaked tampon. “It’s the duration of a foreign material covered in blood that allows the bacteria that causes TSS to breed. It usually happens only if tampons are used incorrectly,” Dr Fielder adds. There are some simple measures you can take to reduce your risk of infection. “Wash your hands before you put a tampon in, make sure they’re individually wrapped and that you take the plastic off just before you put it in because they’re sterile when they’re wrapped,” Dr Gino Pecoraro recommends. Dr Fielder also advises not buying super absorbent tampons, being sure to change them every four hours, and opting for a pad overnight. How diligent are you with tampon changing? This article was originally published over on The Glow.